A few weeks ago I wondered if once you see a pig car whether or not it opens up some type of channel for the universe to funnel other pig-related vehicles into your atmosphere. Well? The universe made good. 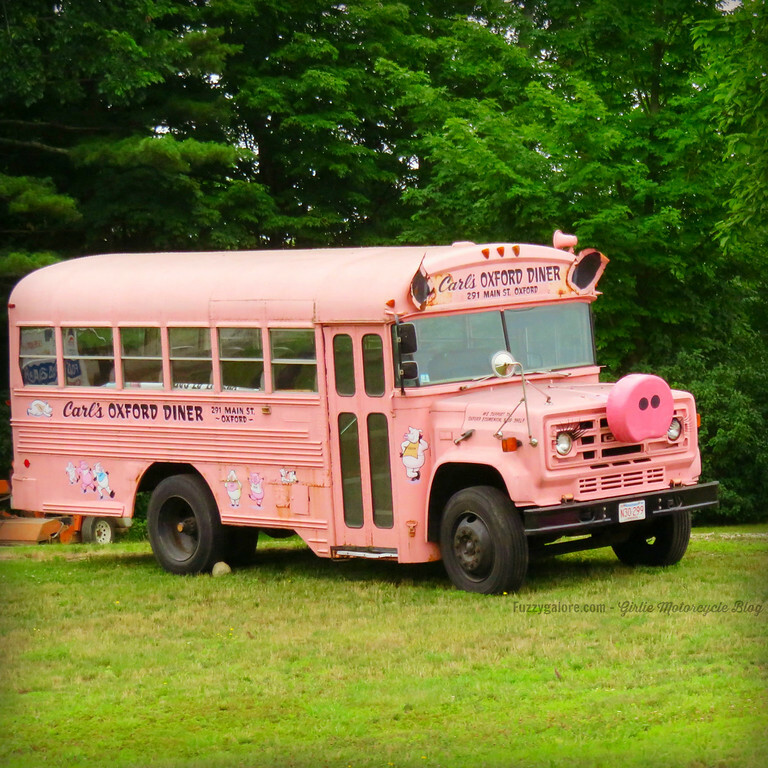 It randomly delivered me to another pig bus. The photo isn’t so hot because I had to snap it from a traffic light but – there it was right next to me on the side of the road. Cool. My father, who grew up on a farm, says pigs are among the smartest animals and chickens are the dumbest. I believe you are The Chosen One anointed to find the mysterious portal to the alternate universe where everyone rides motorcycles, animals are revered, and people can choose their gender. Go for the tri-fecta; a pig plane! I’ll leave the next obvious line open. If any wrench was gonna steam? It’d be the monkey wrench. I’m sure of it.